Workers' Cause (Russian: Дело Труда, Delo Truda) was an anarchist and platformist journal first published 1925 by a society called the Group of Russian Anarchists Abroad. Russian political exiles formed the group in Paris after the Russian Revolution of 1917. Among the members were Nestor Makhno, Piotr Arshinov, Gregori Maximoff, Ida Mett, and Nicholas Lazarevitch. Their defeat by the Bolsheviks convinced the group that anarchists needed a stronger political structure, including political factions, a militia, and an executive committee. They began publishing Dielo Truda in 1925, and in the following year published a definitive and influential platformist pamphlet titled Organizational Platform of the General Union of Anarchists (Draft). Soon, pressure from Stalinists and French authorities drove them to relocate from Paris to Chicago. The journal was published under the title Dielo Truda until 1939, when it merged with an anarcho-syndicalist journal to become Dielo Trouda-Probuzhdenie. Gregori Maximoff edited this publication until 1950. Dielo Truda promoted a platformist model that elicited a critical response from Errico Malatesta, Sébastien Faure, Alexander Berkman, and some other anarchists. They labeled it authoritarian, and therefore contrary to anarchism. 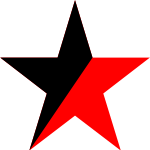 Although most contemporary anarchist thinkers reacted with ambivalence, platformism resurged in the 1950s, and there are numerous Platform-influenced anarchist organizations today, such as Common Struggle (Common Struggle - Libertarian Communist Federation formerly the North Eastern Federation of Anarchist Communists) in the United States, and the Workers Solidarity Movement in Ireland. ↑ "Letter from Errico Malatesta to Nestor Makhno December 1929". ↑ "Letter from Alexander Berkman to Max Nettlau, June 12th 1932".